The Mercer Bears hit six home runs on the way to an 11-3 win over the VMI Keydets in the finale of a three-game SoCon series, contested Sunday in Macon, Ga. The game was tied at two after Collin Fleischer and Matt Dunlevy hit back to back homers in the VMI (23-20, 10-8) second, the second straight day that the duo had gone back to back. Le Bassett homered in the bottom of the frame, however, and Mercer (30-16, 10-8) would not trail again. JT Thomas homered twice later in the game, while Jackson Ware, Brandon Michie and RJ Yeager went deep as well. Christian Vann (4-2) was the beneficiary of the Mercer offensive effort, as he went seven innings and struck out 10 in a spot start. Kyle Staats allowed six runs in three innings and dropped to 4-4 with the loss. Dunlevy led the VMI offense by going 2-2 and homering for the second straight day. Thomas’ two-homer, four-RBI game and Michie’s three hits led the home team. Nathan Eaton went 0 for 4 and saw his 30-game streak of reaching base, the longest on record for a VMI player, come to an end. 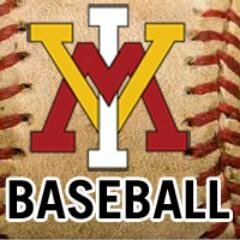 VMI baseball will return to action Tuesday, when the Keydets take on Virginia Tech in Blacksburg. First pitch is set for 6 p.m.